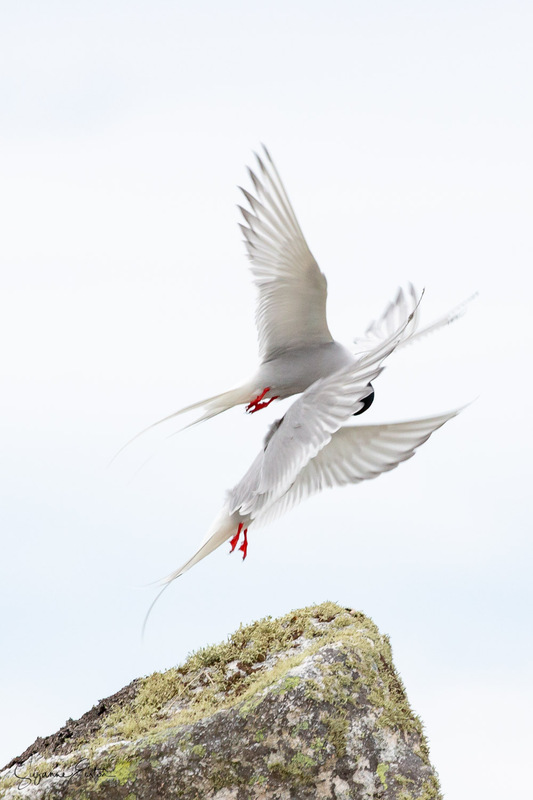 The arctic terns near Burravoe in Shetland are feisty and noisy, but once in a while a moment of intimacy is seen amongst the bustle. Sitting on her rock calling like a chick the female entices her mate to visit. Raising her head as he approaches he delivers food as he would to their young. 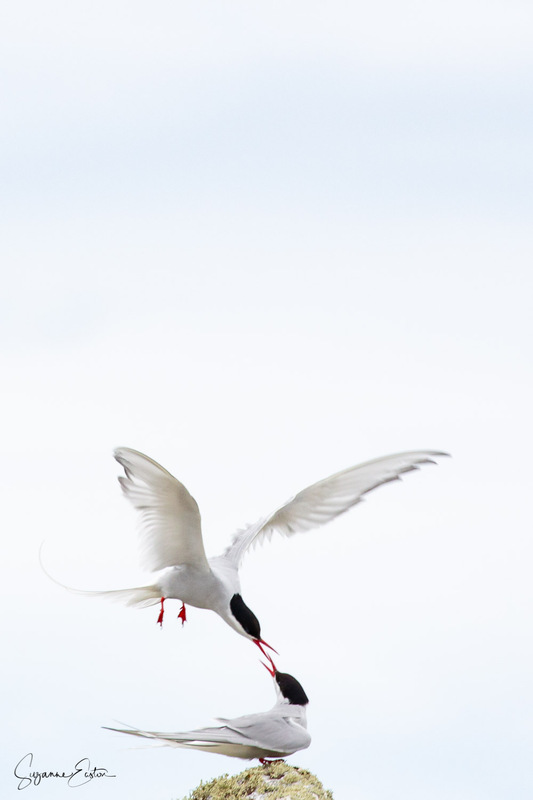 A valuable part in the building of bonds between arctic terns.